Dressing in a conservative suit may not always be the best interview dress advice. Alyssa Gelbard of Huffington Post says in an April 2015 article that it is important to carefully consider with whom you're interviewing before you select the outfit to your meet your possible employer. While you want to show your style and personality, taking environmental cues can play an important role in determining whether you get the job. First, if you don't know the attire of the industry in which you're interviewing, ask other professionals in it what would be appropriate to wear to the interview. Professional networks on LinkedIn or another social media venue might be able to help. Another option might be to contact your local workforce center for some advice. The local professional or business networking association may also be able to put you in contact with someone who works in your industry who can answer your questions. Next, consider that your interview outfit may say as much as your resume. If you are interviewing for a job with a fashionable, trendy clothing company as a store manager, you probably don't want to show up to the meeting in a dark, traditional suit. It would signal that you aren't quite up on the latest fashion trends. Who would hire someone who doesn't have a basic clue as to what is going on in the industry? Likewise, you don't want to attend an interview dolled up in lots of matching accessories if you're going for a job at a law firm. Pay attention to the environmental cues offered by the industry for which you're interviewing. 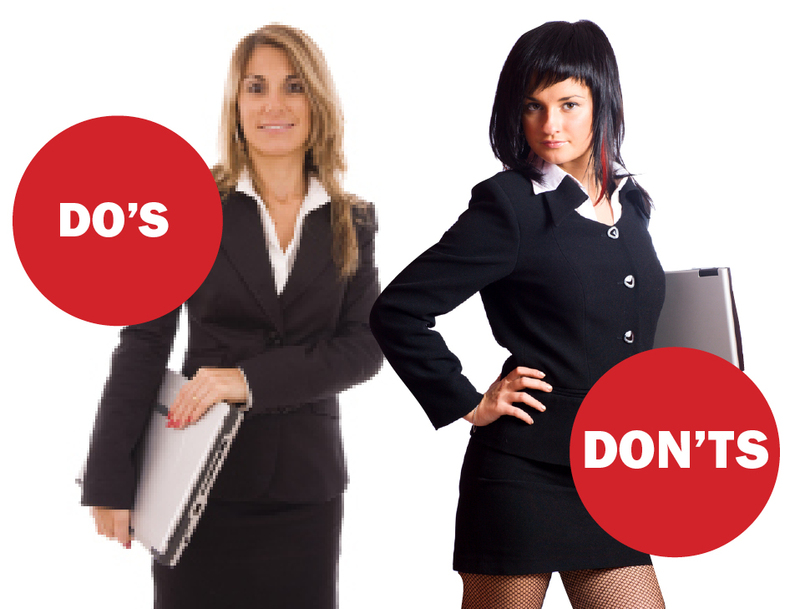 Take your cue from others who have worked in it for some time if you are unsure of how to dress. Remember that your clothing can tell a manager a lot about you before you even open your mouth to introduce yourself. While you don't need to spend lots of money on your interview outfit, be aware that you may need to do a bit of shopping before the interview to get exactly what you need to shine.